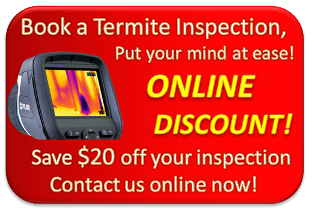 Termite Guys Brisbane is a pest control company on the smaller side. Michael started this business nine years ago. It was a natural progression from working for his dad’s pest control company. For the first years the book keeping was strictly physical, but as online accounting businesses developed he chose to start using one of them. This termite activity data is interesting to just look at. 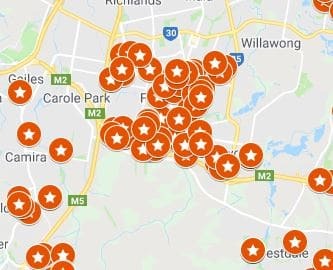 What areas have been the most active ones, and how come? What affects the distribution of termites? Why are some areas more prone to high termite activity than other areas? 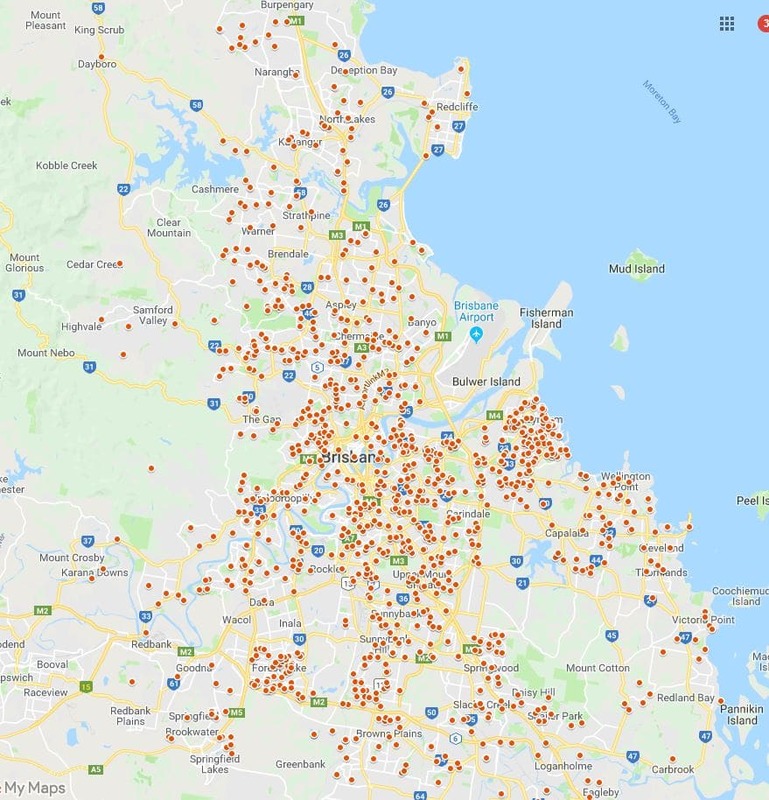 Of course this is not an exact measurement of termite activity in the Brisbane area, as the data is only from our business – but we can draw a few conclusions from the geographical positions. 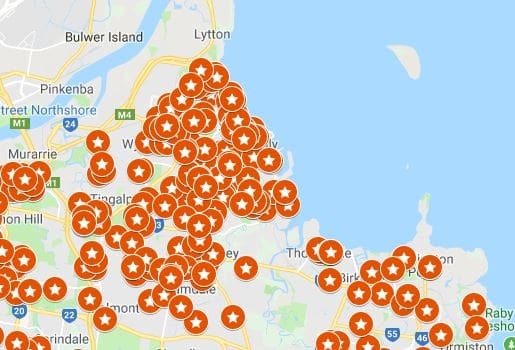 This area has been a high priority to Termite Guys Brisbane for many reasons. The suburb is fairly new, and had a housing boom in the late eighties, early nineties. It is important to consider the architecture of the properties in this area. Earlier properties sit on stumps, and this classical Queenslander architecture has many means. The stumps with ant caps on them make termite entry noticeable. It also brings the cool breezes into the homes. Properties from the massive boom, and after, on the other hand are mostly low set. Which of many are brick veneer homes with concealed wooden beams. When these properties were built harsher termiticides were used to build barriers, and these have now expired. Not only that, brick veneer homes makes it possible for termites to enter your home without any sort of notice. This is why it is so important to keep your protection up to date. Forest lake also has a high density of gum trees which allows termites to nest close to the homes. The Lake Parklands also keep the area humid with or without rain which is a big draw point for termites. A majority of the homes in Forest Lake were also victims to a rogue pest controller that only used water to treat the termites! You can read more about that here. Many of the homes in the Wynnum/Manly area are Queenslanders. These properties are built on stumps and most with ant caps. These physical barriers forces the termites to build their mud trails so that they are visible to the naked eye. This does however not mean that the homes are protected, this is just a way of detecting the termites before they have done substantial damage to the property. Not only that, the queenslander style homes are usually big and contain a lot of wood. Which is of great interest to termites. Many use the sub floor area for storage and it may defeat the purpose of the ant caps. Wood, furniture or cardboard stored under the house is a perfect feast for the termites. Lattice work along the base of the house has also proven to be a termite hazard as these provides a perfect gate way into the home for the little critters. Also, as these suburbs are going through a modernisation process at the moment. Many of the post war homes are currently being moved or destroyed to make way for more modern buildings. As mentioned above these new types of homes offer great opportunity to termites, and they do require a chemical non-repellent barrier treatment for protection. If you are after a Free quote on a termite protection service Michael is always happy to help.